Shop at your favorite stores and save big with these offers. The daily deals online company Groupon offers an app called Snap that gives users a way to find digital coupons and deals at well-known retailers. The app is available for Apple iOS and Google Android devices. Users simply need to download the app and then search the available deals. For instance, if you are planning to buy an appliance from Best Buy, the app shows how you can save 20 percent off your purchase price using the digital code in the app. 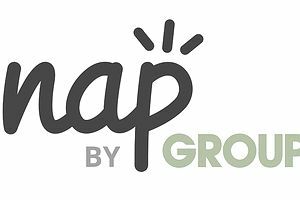 Groupon has set up Snap promotions with as few restrictions as possible, which means sometimes you may be able to use multiple digital coupon codes on the same day. For example, if the app offers a discount code for 20 percent off shorts at Urban Outfitters and a separate coupon code for 15 percent off shirts at the same store, in some situations you may be able to use both on the same purchase date. The amount you're able to save will typically depend on how much you spend and how big the discount is. However, in some cases you'll be able to see the set savings amount ahead of time. For example, at the time of this writing, you can get a $15 Amazon credit if you buy a $50 Amazon gift card. Assuming you plan to use Amazon more than once, that's a great deal. Currently, Snap can be used on a smartphone, tablet, or desktop computer – just download the app for iOS or Android, or visit snap.groupon.com. It is available in the United States and Canada. The cost is free, and most Snap promotions are good in local retail stores and via online purchases. The app is redeemable at any participating store. There is a decent selection of stores with deals, and most of them are located nationwide. For instance, you may find deals at Target, Amazon, Best Buy, Neiman Marcus and other retailers on any given day. You won't always find deals at the stores where you plan to shop, since the participating list of retailers can vary from one day to the next. If you notice that your favorite chain store has a deal on Monday, it may not be there again on Tuesday. Therefore, it's important to capture a deal when you see it. If you have a question about how to use Snap, contact Groupon at snapsupport@groupon.com or 1-877-741-5790. You can also check out the FAQ page here.